World Cup Nails? Look no further than WAH! WAH Nails are offering the ultimate world cup accessory (other than having Ronaldo on your arm). 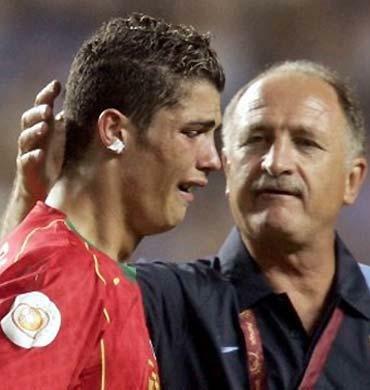 Actually, scratch that… does anyone ACTUALLY fancy Ronaldo? He’s far too high maintenance and no-chin for me. World Cup Nails…. yeah baby! You can sport one (or more) of all 32 participating team’s designs on your tips and show your other half that you TOTALLY are supporting their love for all things football. 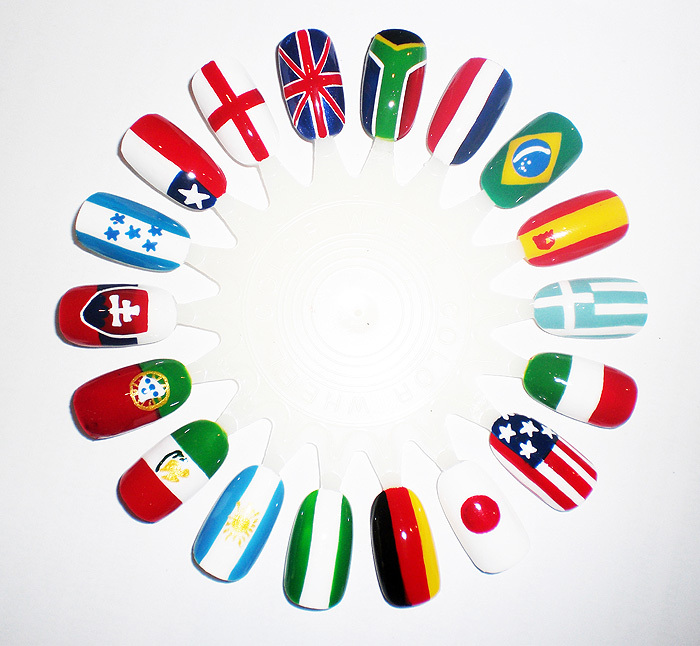 Head to WAH Nails in the Topshop basement (Oxford Street, London) to partake in a little world cup nail artistry. The designs are available from the 11th June – 11h July, Flag designs from £30 and 10% off your home countries flag if you can show proof of your birthplace with a passport! Which design would you choose? I know it’s terribly unpatriotic (esp being an 80s child)… but I’m digging the Greek & Argentine flags! ..Luckily the england flag is easy to do yourself! Love the South African one! But I’m biased cause I am from SA. The opening yesterday was spectacular and I’m going to see a match next week so maybe I can try this on myself!! I can’t imagine anyone paying £30 for some of these flag designs. Japan is just a red dot on a white background and some of these are just stripes, easily DIY. Hahaha WAH do the greatest designs! Good idea. I cannot stand Ronaldo. He is an awful person. Oh, and I guess you already know that but Models Own have a 25% discount every time England wins (using the code COMEONENGLAND). I told my boyfriend to let me know when England wins and he could not understand why in the world I would be interested in that! Men…. They never seem to understand us!!! LOL! Oooooh, there cute but no way would I pay £30! Most of the designs are easy enough to do yourself. He is my sweetheart and has been since I saw him in the Eurocup thingy in 2004 😀 <3 Ronaldo! love this hugely lips-dedicated blog!! haha, im argentinean, and no, its not unpatriotic at all. you’re just showing you can appreciate just the beauty of a flag. WAH Nails to collaborate on nail art pens with Models Own! Scruffiness is a characteristic that is passed from parent to offspring. My pretty little scruff.